Have you made up your mind on new air conditioning installation in your house? 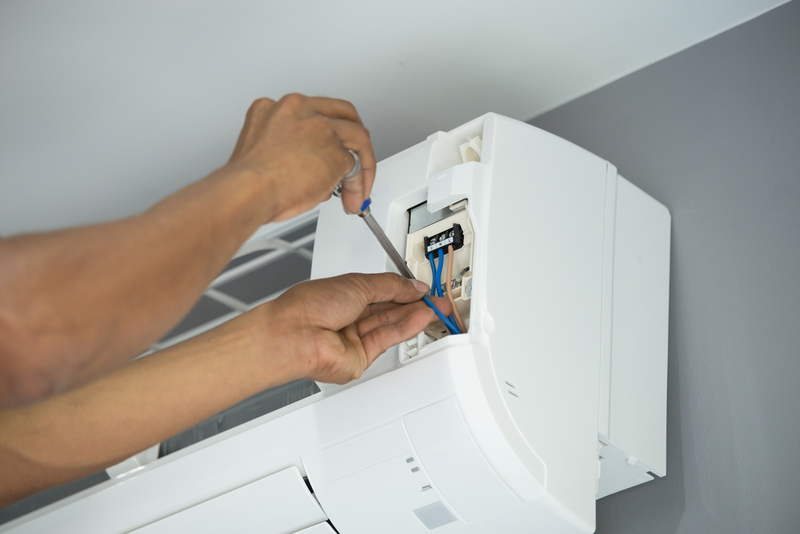 Is your air conditioner out of order and are you looking to repair it or you need long-term maintenance to keep your air conditioning unit working efficiently? By trying to do such tasks as a DIY (Do It Yourself) project, you could end up making costly errors. Only highly experienced professionals are fully trained to install or repair your air conditioning units with the utmost precision and care. No matter what your needs are, only fully trained air conditioning experts have the right expertise to handle air conditioning installation, maintenance and repair in a hassle-free manner. Only highly experienced professionals have proper knowledge and training required to do the job right in the very first attempt. When you hire AC experts from Top End Chill, you will have peace of mind knowing that the work will be completed on time and with the utmost precision and care. Over the course of time, there have been several technological advancements in the air conditioning industry and the new units have more electronic components than before. Our AC experts keep themselves updated on these new advancements. They have the expertise to not only provide a hassle-free installation service but can also trace, diagnose and fix the problems in your air conditioning unit quicker than you can ever imagine. Professionals use the best equipment, methods and techniques to resolve the issues and expand the life of your air conditioners. Once you hire professional air conditioning installation service in Darwin, you can have peace of mind because reputed companies like Top End Chill also provides long-term maintenance services to increase the efficiency of your air conditioning unit. Professionals are available 24X7 to answer your queries and you can reach out to them as soon as you encounter problems in your unit. At Top End Chill, our air conditioning installation, repair and maintenance services are backed by industry-best warranties. We provide affordable and highly effective air conditioning maintenance solutions to both residential and commercial establishments. Our air conditioning maintenance services will not only expand the life of your air conditioning units but also lower your energy bills. When you hire a professional air conditioning installation and repair service provider, all the problems will be diagnosed and fixed immediately. Professional technicians pay special attention to every minute detail and conduct in-depth inspections to inform you about issues that need to be taken care of. Fully trained and highly experienced air conditioning experts at Top End Chill not only provide a hassle-free installation and repair service but also offer expert advice and tips on how to maintain the unit and increase its efficiency. From failing parts and leaking ducts to refrigerant levels and more – they check everything before advising you on how to keep your air conditioners well maintained. You can take help from several DIY videos on the internet to install, repair and maintain your air conditioning units. However, even a small mistake can cost you several dollars. To avoid making costly errors, you need to hire professionals for highly effective air conditioning installation in Darwin. DIY videos will never teach you how to diagnose and detect the root cause of the problem. If you cannot detect the actual cause of the problem, you will not only end up wasting your time but also cause further damage to the unit while trying to resolve the issue. This is why you should hire a reputed and highly experienced air conditioning installation, repair and maintenance service provider like Top End Chill. At Top End Chill, we have a fully trained team of technicians who not only identify the issue quickly but also fix the problem in a hassle-free manner. The above-mentioned benefits make it very clear why you need to hire professional air conditioning experts. Professionals are licensed and they use the best methods and have enough expertise to provide quick and highly effective installation, repair and maintenance services.